The village of Gambella, Kenya, has recently completed a 5-year program with Global Hope Network International (GHNI) to improve the health and well-being of its citizens and village life. This recently extended to their neighbors in Atir Village, and together they created a field where they could grow and share crops. However, the field’s main water supply, a wind-powered irrigation pump, is in need of repair, and no irrigation system exists to water that field. This farmland is a symbol of the peace between Gambella and Atir, and our involvement to fertilize the land will go a long way to bring these two communities together. We formed our relationship with Gambella and GHNI in the fall of 2017. In that time, we also brought three mentors on board to guide us in this project: Joshua Knight is our lead mentor, and actually works with GHNI as their Program Engineer. Ron Stauffer is a windmill expert, and has given us crucial guidance in repairing the windmill and well system. Lastly, Lucas Kingston is a hydrogeologist, and he’s taught us about the underground water supply the windmill and irrigation system will take from. As our chapter’s first project with this community and NGO, we hope to make a lasting impact that perhaps even future projects can contribute to. While Gambella has numerous other areas of developmental need, our chapter chose to focus on Gambella’s water collection and irrigation systems because we thought it addressed one of the community’s most pressing issues. Additionally, we believed the project could serve as a sort of catalyst to address more of the community’s problems. From an educational standpoint, the problems we’re focusing on in Gambella are undoubtedly challenging, and pose interesting and interdisciplinary engineering concepts. Our team is excited to use our knowledge of engineering in making a significant impact for this disadvantaged community. By increasing the community’s access to water and food security, the team hopes to ultimately improve the community’s health and developmental ability. Our project consists of three areas of concern: the well/windmill system that pumps the groundwater up, the nearby storage tank that houses that pumped water, and the irrigation system that will efficiently transport the water to the farmland. Each topic has a respective committee within the team dedicated to evaluate existing problems, potential solutions, and implications of those solutions. The well/windmill committee works closely with the original builder of the windmill and the original borehole driller to assess why the system broke and what steps need to be taken to permanently fix it. The storage/filtration committee will determine what improvements need to be made to the existing storage tank to ensure that the community will have constant access to clean water. Lastly, the irrigation committee will evaluate numerous irrigation techniques, and decide which system would be most beneficial to Gambella’s farming needs. Besides the overall effectiveness of the solutions we choose, we must also consider less obvious implications. Things like present and future costs to the community and our chapter, ability for the community members to maintain whatever system we implement, and even the politics of our designs play an important role in deciding how to move the project forward. For example, drip irrigations systems are known for being incredibly efficient and environmentally friendly. They’re cost effective and fairly easy to implement considering they’re above ground. At face value this system appears like a no-brainer. However, we must also evaluate how the source water (known for having high-salinity,) might clog the drip holes, or how this unfamiliar irrigation technique might be difficult for the community to maintain. Lastly, this system has a lot of easily-accessible parts and materials. Could this prompt a community member or someone from a nearby community to take/break pieces of the drip irrigation system for their own use? Will the community have the funds, knowledge, and motivation to repair or replace the materials that get stolen? Because one of our main goals is to have our project be sustainable, these are the kinds of questions we need to be cognisant of on top of the technicality of the solutions themselves. This past May, 8 team members and our mentor Joshua travelled in country for 10 days to conduct our “Assessment Trip.” The goal of this trip was to get a concrete understanding of the problems we needed to address. This included taking measurements of the storage tank, working with the original windmill builder, Mike Harries, to assess and measure the damage of the windmill and borehole, using GPS tracking devices to map the farmland and other areas of interest, and of course speaking with community members and leaders to comprehend their concerns and expectations of our project. The trip was a great success. Our team landed at the airport in Nairobi and was immediately greeted by Wubshet Mengesha, the GHNI represented who would look after us during our time there. We spent the next day travelling by car to Isiolo, a small town where we would be staying about 20 minutes outside of Gambella. We found our rooms at the Catholic center that hosted ud, and we mingled with local residents to learn about their lives. We even played soccer with the schoolchildren across the street! Once we were settled in, our team was ready to get to work. In Gambella, our team worked together to take the measurements and conduct the interviews we needed. Some of us took water samples at various locations, measured the elevation gain between the windmill and the storage tank, hiked the perimeter of the 50 acre farmland while taking GPS coordinates, and disassembled parts of the windmill while making a few repairs. Most importantly, we got to know the community. Everyday we met with the community leaders to discuss our project and other problems the community was facing, and we even spent a significant amount of time playing with the children. Gaining the trust of the community was essential to our project, as we wanted to express our commitment to them and wanted to confirm their interest in our help. After our work was completed, our team had a little extra time before they had to fly home. We decided the best way to spend it would be going on safari! 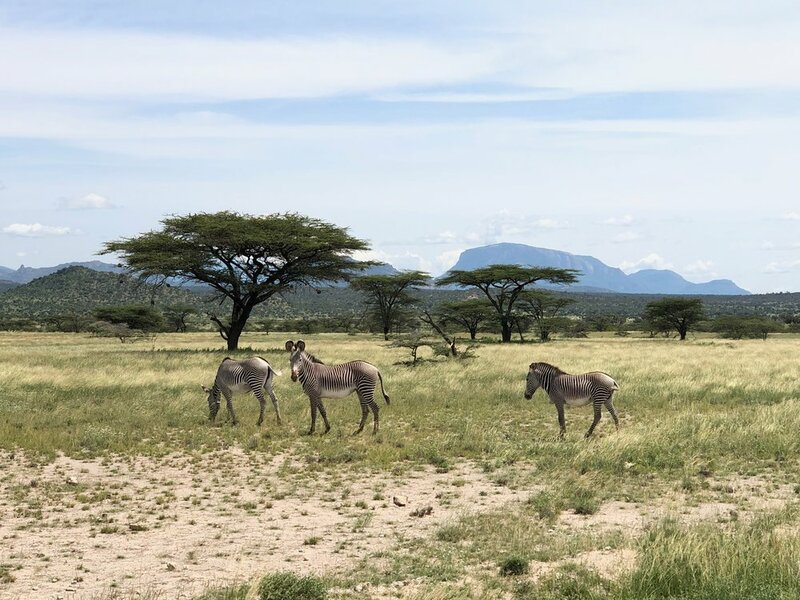 We arrived at Samburu National Reserve around sunrise, and spent the morning driving through the park to see the wildlife. We saw elephants, giraffes, zebras, crocodiles, gazelles, and many other animals, some unique the park itself. After a week of hard work in the sun, this was a perfect way to relax and enjoy the beauty of Africa. Regarding the progress of our project, our team is currently in the “Alternative Analysis Phase” of a typical EWB project timeline. Over the summer, we completed our Post-Assessment Document, and detailed the specifics of what we accomplished on our trip. All of the members present on the trip and all of our mentors contributed to the 40-page technical document, and everyone gained valuable experience in expressing complicated engineering material. Now, our team is working on the Alternative Analysis Document. In this phase of the project, we will pull from what we learned on the assessment trip to examine our possible solutions (alternatives) and weigh them against each other. 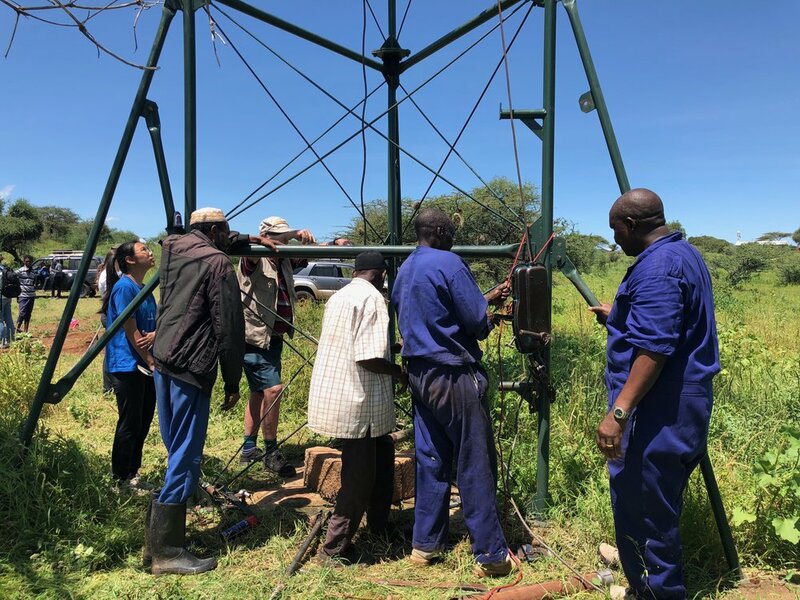 Once each alternative has been thoroughly outlined and compared, we will pick our “preferred alternative.” This solution will represent what our team believes to best address Gambella’s problems regarding its windmill, storage tank, and irrigation system. In the next phase of the project (the “implementation phase”) we will design and engineer the solution. Our assessment trip team with the Kijito windmill in Gambella, May 2018. Team members working with village leaders and employees of Kijito Windmill to assess the cause of the broken windmill. Team members spending time with the local children in Gambella, Kenya. A photo by team member Linnea Engstrom on the teams impromptu safari! A highlight of the trip.